Start your review of Guesly Moline. I was buy my car . that was a really good experience.i recommend this Dealership and just want to thank Mike B and Guesly once again!! "Wonderful Experience From Start to Finish"
We came to Off Lease Only upon numerous recommendations. We did a lot of research on the type of vehicle we wanted (Honda Odyssey) and what was in stock at all the locations. Upon narrowing our search, we made a trip 4 hours south to the North Lauderdale location. We were immediately greeted by a smiling face and kind welcome. After checking in, Brian Y. greeted us as our salesman. 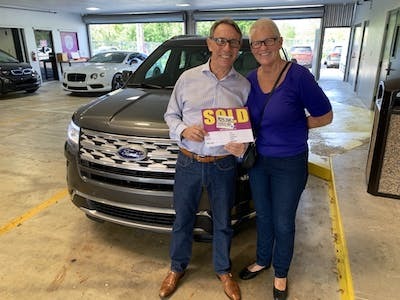 Although we were familiar with the Off Lease Only process and its inventory, he clearly explained it all and went over the details of the two vehicles we came to see. He took us out to see the vans and it was clear that he was there to 1) make it a great experience and 2) help us find the right van, not just "a van". He pointed out pros and cons of the two vans and was knowledgable. Anytime Brian had to step away to get keys, paperwork or speak to someone, he was quick to return. We never waited long for any step of the process. We worked with Guesly in the paperwork and finance office. He was prompt, kind and friendly. He explained everything clearly and the process went smoothly thanks to his knowledge. The van was detailed and ready not long after the paperwork was signed and we were on our way. We never felt pressure to choose a certain vehicle. There was no double talk or vague information. 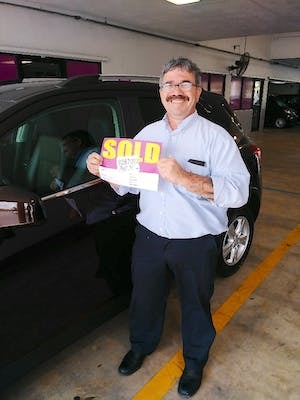 Brian wanted us to find the van we needed and was happy to help whether is was a $10k or a $50K sale. We'd recommend Off Lease Only and Brian to anyone and will be back when in the market for another vehicle. I had the pleasure of meeting Stephanie Elie as my sales representitve. She was awesome. She asked all the right questions to guide us in the direction of what we were looking for. 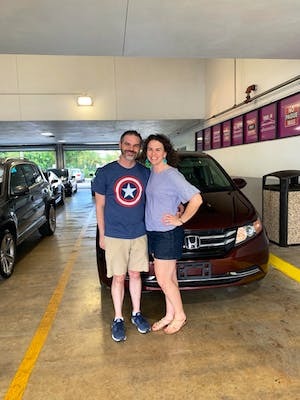 At the end we ended up with a spectacular car and the purchasing process was a breeze. Thanks to Stephanie, I am a happy customer. And will recommend her to any buyers. THANKS STEPHANIE!!!!!! 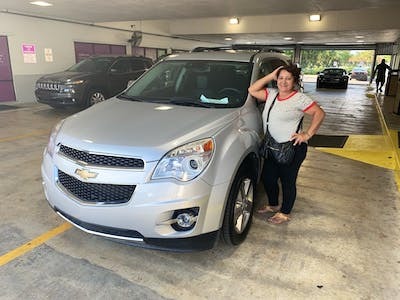 Me gusto la atencion la experiencia yaret es una exlente persona atento amable educado me hizo sentir comoda recomendaria una y mil veces a offleaseonly principalmente porque lo ayudan a uno a tener su auto buscan las opciones mas favorables para uno .le doy 5 estrellas a yaret si hubieran mas se las daria ,gracias por su atencion. 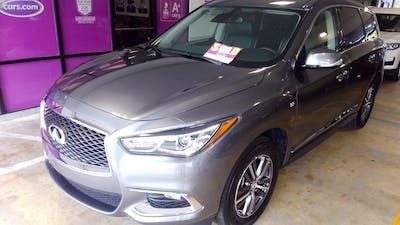 I came to offleaseonly because the other dealership were taking advantage of me. Since the moment I walk d in Olivert, Roan, Guesly did their b set to help me get my dream car the one I deserve. You guys are the best I will be back. 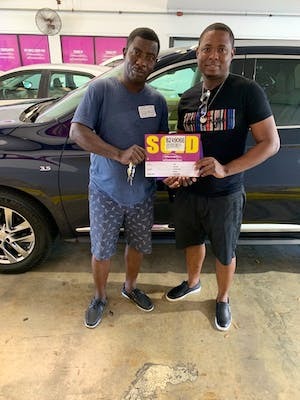 "I had a wonderful experience, Thanks for my new car"
"No pressure, A lot infomation too look at." Was meet by Kaz, big smile. Then we meet Valentino. This was our first time to Off Lease (not our last) He set us up at the station answered all our questions, and showed how to research the history of the car (helped me both chose and eliminate the cars) Then he gave us our space to speak freely when we found the car we wanted he jumped into action and we were on the road. Other Employees Tagged: Valentino Ventura , Kazz. first face we saw, Big smile. GREAT PLACE! GOOD Costumer Service! 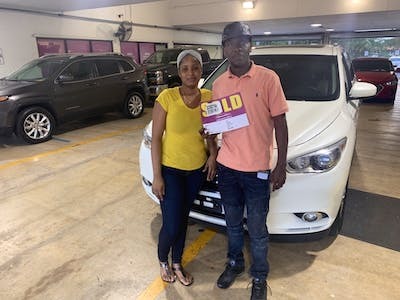 My sales man was GEOFFREY...he was patient and he listen to our need and what we wanted, he was THEE car expert.. Roan the manager was also nice and friendly and help us out with picking our car.. they're hard working and aim to please the Costumers . Olivetti, Jean excellent to work with. Attentive and very personable. Easy setup test drive. The Explorer we bought, good price and exactly as advertised. Guest Moline (Finance), great personality very easy to work with. Dave (Manager) very helpfull and personable. Other Employees Tagged: Olivert Jean , David manager, not sure of last name.